If one thing is clear, is that Black Mesa has had a rocky development phase, even if this remake of video game classic Half-Life is finally nearing completion. It all began a fan project in 2004, but now Black Mesa is fully-fledged game that you can buy on Steam (and those interested in getting hold of this Half-Life remake can do so not at a discount by taking advantage of Steam’s ongoing winter sale). 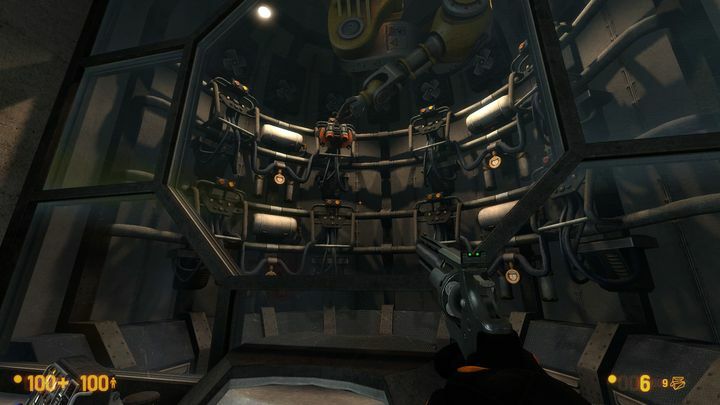 The version of the game that’s available on Steam Early Access, though, is lacking the final part of Half-Life – namely the game’s infamous “Xen” levels. These took place on an alien world and were much-maligned in 1998 (the original Half-Life release year) for failing to live up to the earlier portions of the game. However, Black Mesa’s developer Crowbar Collective recently revealed in a blog post detailing the game’s latest update that Black Mesa’s Xen will be something special. “We are striving to make sure Xen is fun, well thought-out, and cohesive. Each chapter has its own theme and artstyle, and we are developing them in parallel to ensure they are all at the same high standard of quality. Xen, in its current form, is made up of 14 maps across these final 5 chapters, with each map alone being significantly larger than the originals”, said the developer in its post. Of course, this might be little consolation for the legions of fans who were hoping to play the full version of Black Mesa this December, as the Xen levels were originally slated for release this month before being postponed last November. But at least Black Mesa has now gotten another update this month, adding graphical niceties like dynamic lights, lens flares and colour correction, while also making quite a few miscellaneous improvements and bug fixes to the game. According to the official patch notes, this latest update will also make it easier for the development team to add the Xen levels later. “The goal of this update is to get the released version of the game as close to our internal build as possible. This way, the final Xen release can be closer to a simple map drop; with less potential for engine and code issues affecting players on their first time playing Xen”, said Crowbar Collective in their blog post. So, will the Xen portion of Black Mesa live up to the rest of the game, and be an epic conclusion to this great Half-Life remake? Hopefully it will, and it would also be a great thing if Half-Life fans could get their hands on the full Black Mesa game sooner rather than later too. For the time being, though, those who haven’t experienced this Half-Life remake can get their hands on the Early Access version of the game at a discounted price thanks to Steam’s winter sale, which lasts until January 4.